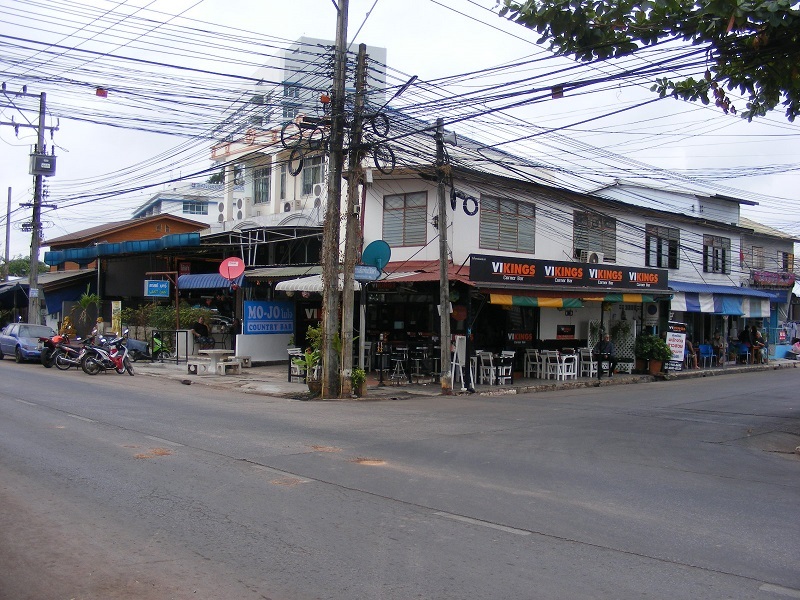 Soi Samphan Thamit is the road that runs past the Day and Night Nightlife complex, and houses a number of bars and restaurants along its path to the junction at the northern end, where the new 7/11 convenience store has been erected. If you are a regular visitor, you will notice new bars opening up on occasions, while others close down, but there are a few bars that have stood the test of time. At the northern end of the road and opposite the Udon Star hotel, you will find a small group of bars which are usually open from the early afternoon. These are all girly bars and are often quite busy in the evenings with a mixture of ladyboys and girls. There is the Country bar, an American Themed bar, plus a couple of others. 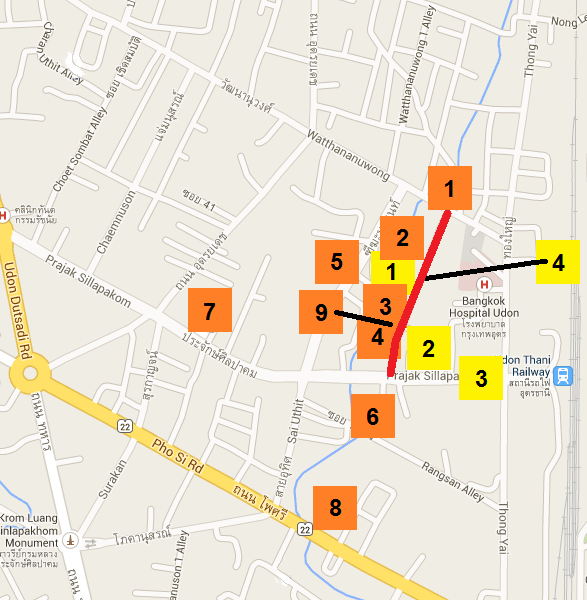 The area is not normally especially busy during the day but can make for a useful alternative when tracking down the bar girls that work in the area. As you head south down Soi Sampan Thamit, you will find The Sports Bar on the left hand side, which is what it says on the label - a bar to watch sports. Beyond this bar is the Day and Night complex, with a handful of massage parlours in the immediate surrounding area, then a number of other bars and restaurants until you arrive at the junction where the freelance prostitute girls operate from. A brand new bar opened on 26 June 2014, called 'Flamingo Bar'. It is a double unit so quite large and is another girly bar, although is quite often quiet inside. Just before you reach the junction, you will find The Beach Bar, which has some grand plans for the coming months, so will be one to watch out for. Live music features every Friday and is the only bar at present where live music is played. Hardly surprising that it does get pretty busy, even in the low season. 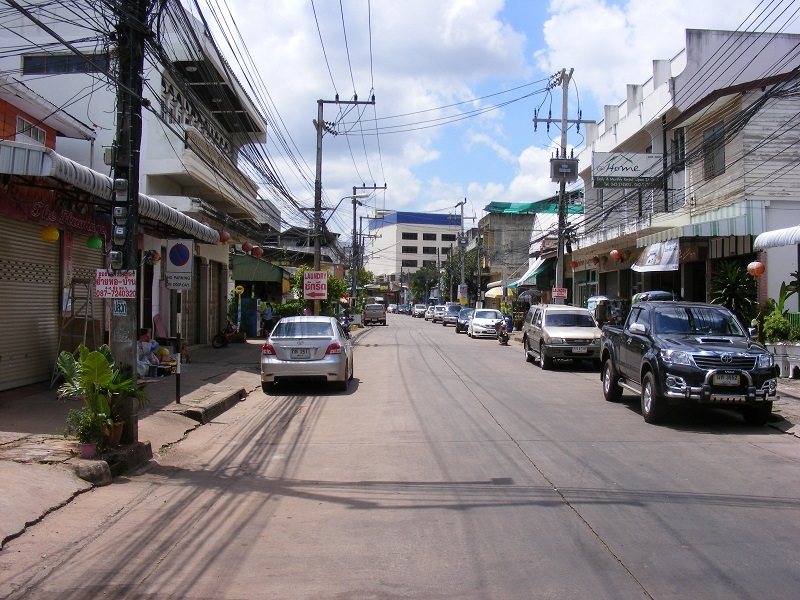 Walking from one end of the road to the other takes little more than perhaps 10 minutes, and is home to a few hotels that are very convenient for the Udon Thani nightlife area.